of the fixed and the material flatness. 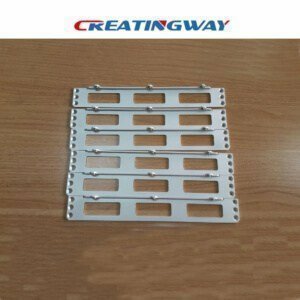 However, laser cutting machine is used for non-contact machining to the products by laser, the machining of the material has no direct impacts, not caused mechanical degeneration, and for the machined material also has no fixed, flatness requirements. To compare with cnc engraving, laser cutting materials are more extensive. Laser cutting machine can machining glass, leather, wood, marble, cloth, rubber etc. and some of the texture of soft material such as leather, wood, brittle crack easily crystal also can be machined. But CNC engraving machine can’t do this. CNC engraving machine is cut by cutting tools, so it will have some knife seams. It can cut some thick the materials. In addition to this, it will not be like the laser cutting machine has heat deformation or burn marks. After laser cutting, even so the gap is smaller and edges are very smooth, but it can’t cut thick materials. Such as: Wood, PVC, ABS and other material. And it also will leave burn marks or heat formation. To compare with laser engraving machine, CNC engraving machine is cheaper, and maintenance, consumable costs are relatively lower. And the complexity of the operation also is lower. But high cost, low efficiency slow speed of machining and CNC engraving machine faults can’t be ignored. Laser engraving machine is using for engraving the parts by laser, which is belong to non-contact engraving; in general, CNC machine uses the mechanical tool head to complete the cutting of surface engraving of the materials, they have fundamentally difference. The cnc machine is used to cut the advertising material, which is not available to the laser machine. The laser machine can carve crystal, acrylic and double color board because of power is limited. Brand : Making all kinds of staffs badges, various kinds of door cards etc. Mold industry: Engraving button embossing die, injection mold, blow molding die, stamping die etc. Wood industry: cabinet door, painless door, screen etc furniture products milling. Mold industry: Engraving all kinds of image, transmission, plane carving, cutting and washing and other effects. Artware industry: Engraving all kinds of elegant designing on woodiness, bamboo, man-made marble, organic board, double color board and so on. It is used to all kinds of plane material cutting: 2d engraving, 3d engraving. In additional to the multifunction engraving machine main function and advantage is : powerful, multi-usage, no matter you will make bronze, stainless steel, titanium gold, aluminum and other metal surface engraving, carving decorative pattern and art graphic arts and crafts, etc, it can so easy to done. 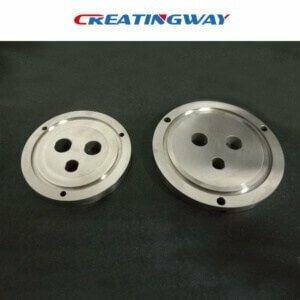 Creatingway always takes more these knowledge in CNC Machining Industry to our valued customers for sharing, make your projects easy, our experts engineer team is closed to work with you from design, prototype, low-volume production to lagrer production, provide you one-stop services.